User guides relating to IT access, software, services, security, requests, and training. 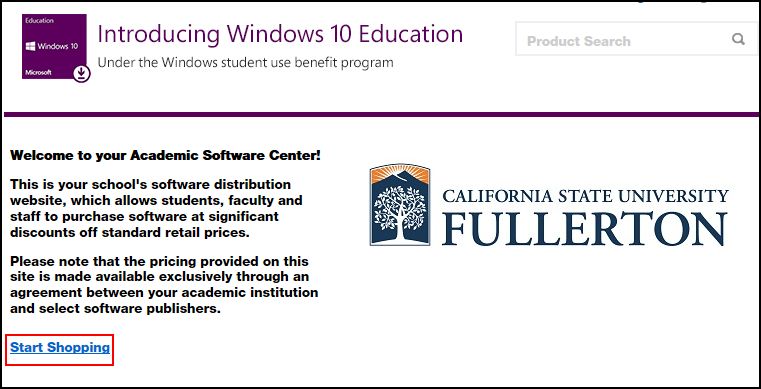 This article covers how CSUF students can obtain a product key and download of Windows 10 Education. For installation information, please view the Windows 10 Help article from Microsoft. 1. 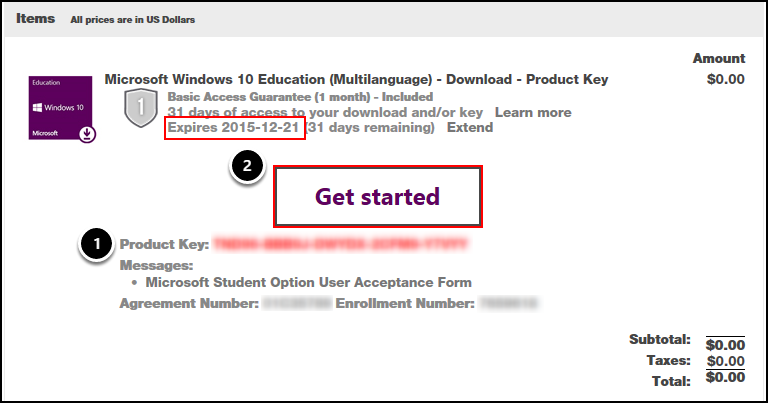 Go to the Microsoft Windows 10 Education webpage and click Get Windows 10 Education. Open your browser to the Microsoft Windows 10 Education webpage. Click Get Windows 10 Education. 2. 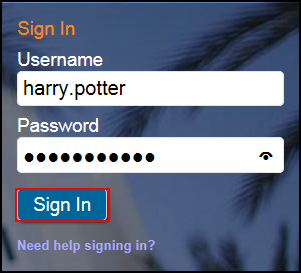 Enter your campus username and password. Then click Sign In. 4. Click on the Windows 10 icon. 5. Click Add to Cart. 6. Decide if you want extended access or not. Then click Check Out. This product key and download are only available for 30 days for free. If you want to purchase an extended access which gives you 24 months of access to the key and download, click Add. NOTE: The Extended Access option is not free so you will need to enter a credit card number or use PayPal if you choose this option. After the initial 30 days, you will only have the ability to get a 60 day extension that costs roughly $12 so be sure to add this option before the 30 days are up to get the best deal! 7. 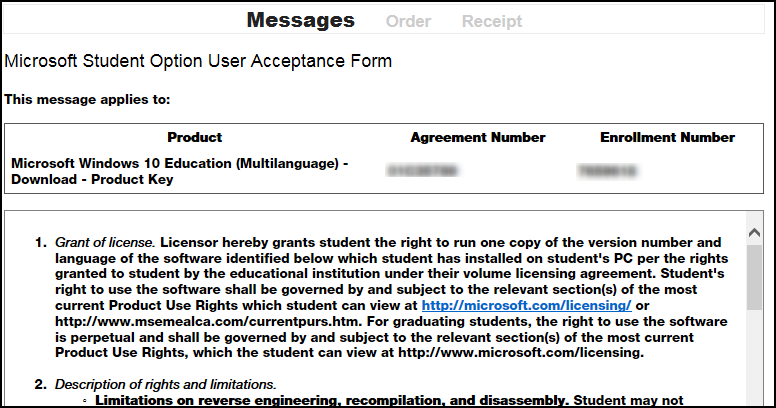 Read the User Acceptance Form and scroll down. 8. Enter your campus username and your name. Then click I Accept. Enter your name as it appears in the grey text below this field. 9. Scroll down to verify your contact information. Then click Proceed With Order. Scroll down to verify that the information in the Contact Information section is correct. 10. Scroll down to locate your product key. Then click Get started. Scroll down your receipt to locate the product key. Print it or take a screenshot so you have it handy! NOTE: The expiration date for access to the download and product key is shown in the Items section. 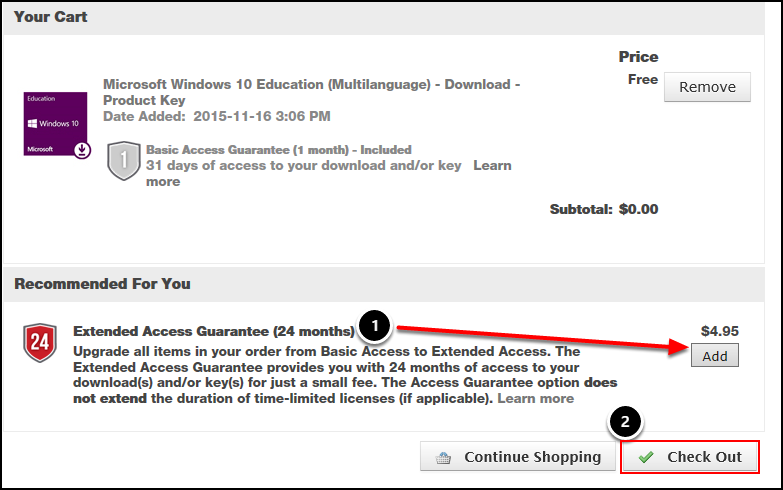 You do not need to install Windows 10 Education before that day; you simply need to download Windows 10 Education and print the product key before then. The product key itself does not expire. You will receive an email with information on how to access your account to retrieve the product key and download but the product key itself will not be in the email. 11. Follow the instructions relevant to you. The Upgrading to Windows 10 Education page will appear in a new tab/window. Click on the link that matches your situation and follow the instructions to install Windows 10 Education. NOTE: The upgrade process to Windows 10 Education may take quite a long time so be sure you have a couple of hours before starting. 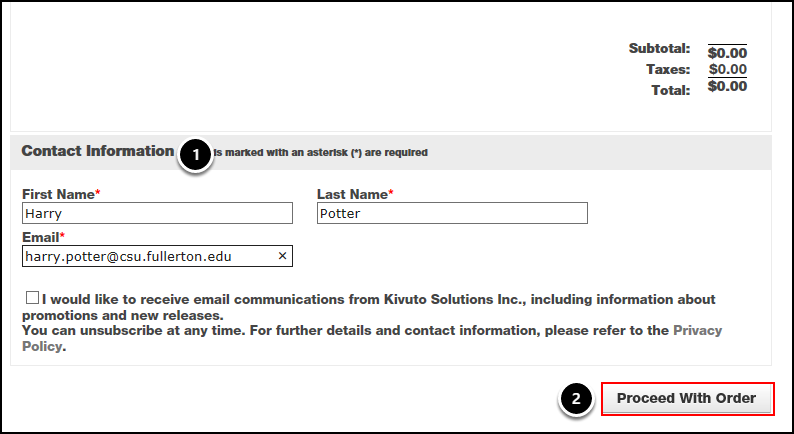 You can return to the Kivuto webstore to begin the process at a later time; you don't have to install it when you order it. However, remember there is an expiration date to access your product key and the download! Contact the Student IT Help Desk at StudentITHelpDesk@fullerton.edu or 657-278-8888. Visit the Student Genius Center on the first floor of the Pollak Library North. View the SGC website for their current hours. NOTE: The Student IT Help Desk and Student Genius Center can only assist with issues in getting a product key for Windows 10; they are unable to assist with installation or issues that arise during or after installation. For installation issues, visit the Windows 10 Help article from Microsoft. For additional help and resources, view the Microsoft Windows Help & Support article. What is Skype for Business Enterprise Voice? Need More IBM SPSS Help?